Residents in the Rural Municipality of St. Andrews are bracing for flooding. 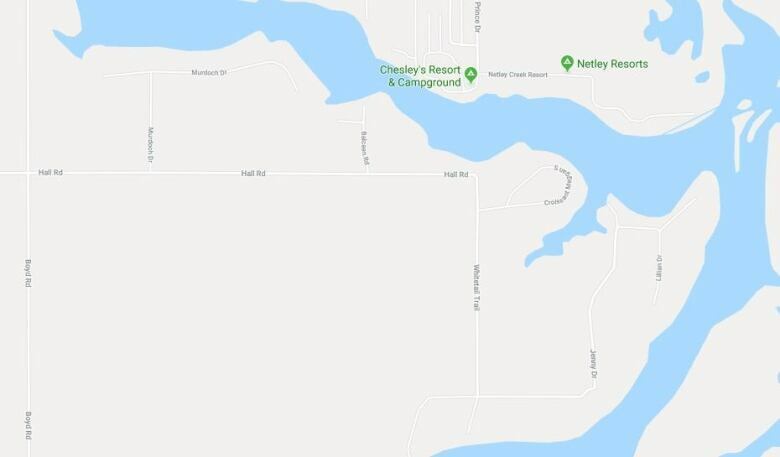 Crews went door-to-door Sunday warning residents to be on high alert after an ice jam along the Red River caused water levels to suddenly rise sharply on Netley Creek over the weekend. Emergency coordinator Jim Stinson says the creek was rising as much as six inches every 30 minutes Saturday night. While it had slowed by Sunday morning he says the municipality is concerned a surge of water from the floodway, which went into operation Sunday afternoon, could force water over some dikes. The waters were already only two to three inches from the top of some of those dikes, he said. "We are notifying our residents to be on alert," Stinson said over the phone Sunday. "We don't know what's going to happen when the water comes in the middle of the night." Stinson estimated a few hundred residents were at risk along the south side of Netley Creek, in and around Murdoch Drive, Balcaen Road, Hall Road, Whitetail Trail and Jenny Drive. He said municipal workers and firefighters have been preparing for the flood fight over the last month by building up roads, putting up dikes and pumping drains in low-lying areas. He said tube dikes have also been set up along the north side of the creek. Officials searched for the ice jam by plane Sunday evening to see if it had moved since earlier in the day. Stinson says while they won't likely be able to break up the jam, keeping an eye on it will help officials continually assess the risk to residents. He said crews will work overnight Sunday into Monday to watch water levels.